Do you ever have unusual smells in your home? Do you clean and deodorize your house from top to bottom, but seem to smell a “dirty sock” odor throughout your home? It’s time for Hicks HVAC to evaluate your air duct system. 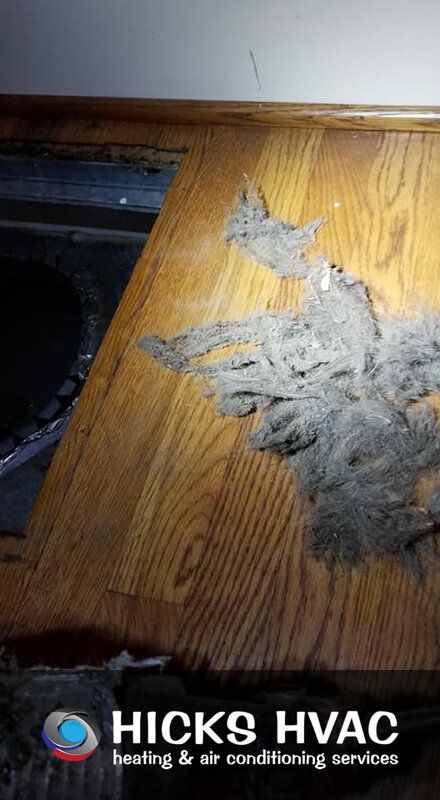 Over time, your heating and cooling system’s air ducts can get clogged with excessive amounts of dust and debris that are released and re-circulated into the home. Dust mites, pollen and insects eventually infest the air duct system. This is why the stench in the air of your home continues to linger. 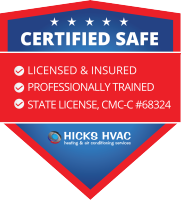 Hicks HVAC is committed to providing residential and commercial air duct cleaning services and we take every precaution to keep your house and your air as clean as possible. Our licensed contractors use specialized tools to scrub the inside of your air duct system providing a positive air pressure in conjunction with contact negative vacuuming to dislodge dust and other particles. Our high-efficiency particle air (HEPA) is made for removing deposits in the HVAC ducts, ventilation and other internal duct. This procedure minimizes the threat of dust, pollen or other debris spreading particles outside of the home. 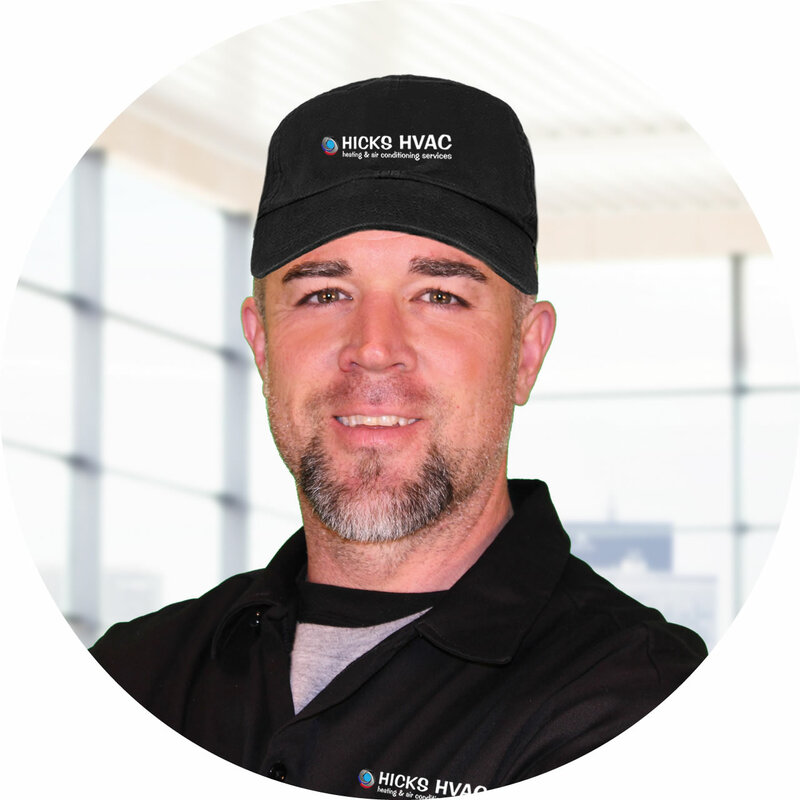 Because Hicks HVAC has the know-how to design a complete heating and cooling system to your capacity requirements, we can provide all your options that fit your budget for all your duct cleaning needs. We know design, and we know procedure! 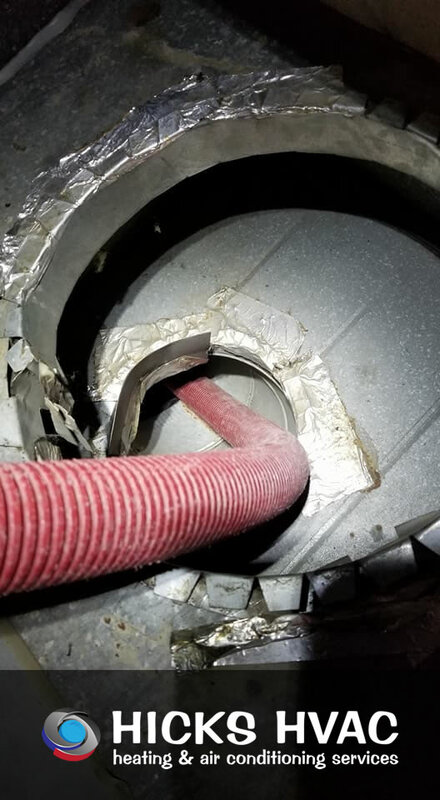 We follow NADCA’s standards for air duct cleaning and NAIMA’s recommended practice for ducts containing fiber glass lining or constructed of fiber glass duct board. Should I Have An Air Duct Cleaning Inspection? Here at Hicks HVAC, we're no "hick" when it comes to air conditioning service repair or tuning up your air conditioning or furnace. 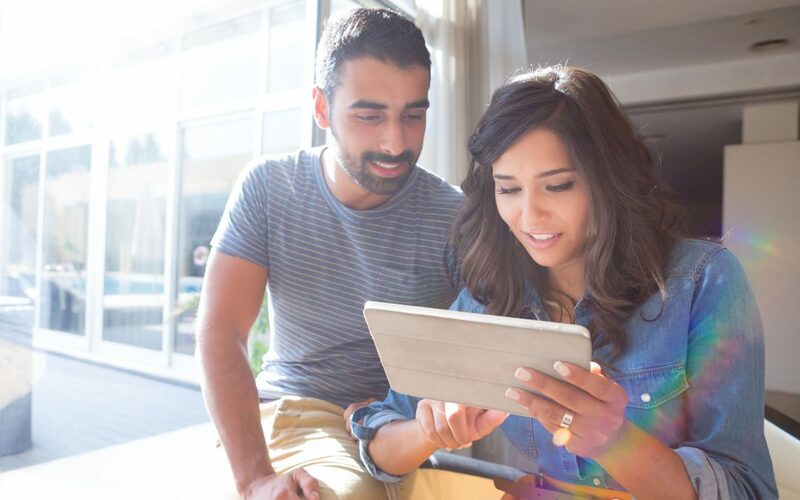 Whether you need a complete new install or basic repairs and maintenance our Technicians are fully trained & EPA / NATE certified and qualified for each job. 100% satisfaction is always guaranteed.